Title: THE PENTAGON IS DENYING MEDICAL CARE FOR VETERANS STRICKEN BY DEPLETED URANIUM (D.U.) CONTAMINATION! Subtitle: Congressman Dennis Kucinich calls upon the Federal Government to fully fund D.U. care. However, to do so would mean that the Federal Government would have to acknowledge the problem and legally face their negligence in sending American servicemen into battle equipped with radioactive weapons which will kill more of them than any enemy on any battlefield! We have received unconfirmed reports that the Pentagon is preventing American soldiers from writing home to complain about the variety of illness afflicting them because of the deadly combination of Depleted Uranium, Toxic Vaccinations, the toxic local Sand Fleas, and the terrible heat which dehydrates its victims. The Pentagon is said to be threatening to muster out soldiers who complain, thus cutting off their medical care after they get out. However, when these men do return home and they are very ill from D.U. contamination, the Pentagon is refusing to admit that these men are sick with D.U.! In NEWS1954, we reported on the primary campaign of Congressman Dennis Kucinich, earlier in 2004. Not only did he show the most vivid video possible on the fatal effects of D.U., but one of his campaign planks called for the Federal Government to fully fund D.U. medical care; Thus, in a backhanded manner did the good Congressman validate this story from American Free Press, below. Let us go to this story now. "Far from the radioactive battlefields of Iraq and Afghanistan, another war is being waged. 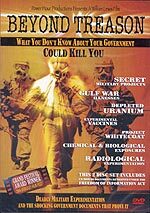 This war, over the use of depleted uranium (DU) weapons, is being fought between the military top brass and the men who understand the dangers of DU: former military doctors and nuclear scientists. This war is for the truth about uranium weapons, and the consequences of their use, and has been waged for more than 13 years ... "Most Americans, however, are unaware of this historic struggle, because the Pentagon has used its power to prevent information about DU from reaching the public. John Hanchette, editor of USA Today from 1991 to 2001, in a recent interview with anti-DU activist Leuren Moret, said he had written several news stories about the effects of DU on gulf wars veterans. Every time he was ready to publish a story about the devastating illnesses afflicting soldiers, however, the Pentagon called USA Today and pressured him not to publish the story." The standard reaction of the Pentagon to any story about D.U. is to deny, deny, and deny again! Spokesmen are never allowed to even hint that the effects from D.U. contaminated battlefields poses any hazard whatsoever to our precious soldiers. Yet, as we have stated before, the issue is so clear that one does not need to be a rocket scientist to understand that the lasting fallout from radioactive weapons would pose a deadly threat to the very soldiers wielding the weapons. As we have stated before, this issue should be one of the most simple for the average person to understand. Before the Pentagon began building Depleted Uranium munitions during the Ronald Reagan military buildup during the 1980's, "depleted" uranium was considered highly toxic, radioactive waste. Most nuclear power plants stored this toxic waste in specially constructed salt caverns in specially built containers, handled by workers dressed in specially designed protective suits which resemble space suits. Since depleted uranium stays deadly for 4.5 billion years, these waste containers were being built to last for the rest of the life of this earth! Now, if this nuclear waste is so potent, and so dangerous as to command these extraordinary measures from the nuclear power industry, it is positively ludicrous to believe the Pentagon propaganda that this material represents no hazard to our soldiers! Furthermore, while the nuclear power plant disposal workers might be exposed to a solid slab of Depleted Uranium, our soldiers are face with an immensely greater hazard: upon impact, a D.U. shell dissolves into fine deadly dust which spreads through the air and falls both on the ground and on vehicles. Persistent, fierce windstorms then pick this dust up, blowing it up to a 1,000 miles from its original source. All it takes for a person to start dying is to breathe in one tiny contaminated dust speck! Our soldiers are far, far more at risk than the heavily protected nuclear waste workers. If the editors of USA Today knew all about the dangers of D.U., especially to the point of creating several articles on the subject, only to have the story quashed by the Pentagon, then the editors and journalists of all the other American Mass Media operations know the truth as well. Therefore, the culpability of our controlled news agencies is exceedingly high. One of the supreme ironies of this whole episode is that both the Federal Government and the news agencies spend a lot of time and money to convince the American citizen that they hold the well-being of our soldiers near and dear to their hearts. Nothing could be further from the truth! Not only did President Bush and Defense Secretary Rumsfeld knowlingly commit our forces to a radioactive war, but the Pentagon has not trained its soldiers in Depleted Uranium warfare since 1996! Our soldiers have no idea of the terrible risk they are taking by just living and fighting in Iraq and Afghanistan. Today, the Republican National Convention is occurring, parading speaker after speaker and advertising after advertising telling us how much they care for our troops and their families. Yet, these leaders have condemned 250,000 American soldiers to "death by inches" as well as the entire 25 million citizens of Iraq. What rank hypocrisy! 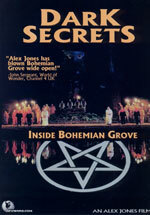 Yet, what can we expect from a Skull & Bones President and from leaders who regularly attend the Satanic meetings of the Bilderbergers and of Bohemian Grove! Now, let us return to our featured article for more information. You will discover the stark real face of the Pentagon. Words cannot express the anger I feel toward this statement. Our military medical establishment is turning its official power against poor, sick, and frightened young soldiers who loved their country supremely and who believed every word of war justification coming from official Washington. These men innocently fought this war, really believed their leadership and loved their country. Virtually every one of them believed they were "protecting America" when they shipped off to this war. Not only will no WMD ever be found, and not only will no concrete evidence ever be found linking Saddam to Osama bin Laden, but these poor soldiers are now dying from the known, predictable effects of our own weapons. But, now, they are also being threatened with loss of their position and the medical benefits if they just demand what should be routinely expected of their military, i.e., elementary medical care which honestly identifies their real medical problem and treats them for the illness. Today, soldiers are being falsely told they have the flu, or some other imaginary ailment, and are being sent back to their units. Further, as we stated, soldiers still in the field are being similiarly threatened. Is it any wonder so many of them are committing suicide? Forget the official suicide numbers, as they are terribly understated. Remember Marine Kenton Shatzer who was badly burned and had to be flown to a burn center in Texas? He is the son of Vaughn Shatzer, whose books and videos we carry. Kenton told his Dad that, prior to his accident, two Marines in his unit had committed suicide. Thus, our soldiers are fighting under extreme mental and military stress, a great deal of which is being dished out by our own Pentagon! Now, let us review another segment of this article which clearly reveals the planned coverup of our military, and of the fact that the Pentagon planned to use D.U. even though they knew of the deadly hazard. For those of you who are unfamiliar with these Pentagon-ese language, please allow me to interpret for you. When this Lt. Colonel says, "The 'future existence' of DU weapons should be ensured by active 'proponency' by the Department of Defense...", what he is really saying is this: The Defense Department must create such such an excellent proactive propaganda cover campaign to convince Americans of the safety and usefulness of D.U. munitions that its deadly side-affects are covered up. In other words, as far back as March 1, 1991, the Department of Defense began to formulate a campaign of lies and coverups designed to keep the American citizen from knowing that their sons and daughters are going to be killed by their own leaders. A key element of this type of propaganda defense must be control of the Mass Media. The Pentagon undoubtedly began in early 1991 to gain such tight control over all elements of the Mass Media that it could prevent any widespread dissemination of this deadly news. As you can see from the information we have just provided, this control has been very effective. Despite the reality that many thousands of our soldiers are in some degree of fatal illness, the average American has no idea what is occurring. Patriotic American flags and slogans are currently being bandied about at the Republican Convention, even though so many of our soldiers are so desperately sick. A good strategy of this coverup are "whitewash" reports from government agencies the public has been trained to view as "objective" and "scientific". Listen to this next segment of information concerning the Center For Disease Control (CDC). "When American Free Press began this series on DU weapons, the U.S. Army alerted the Centers for Disease Control, an Atlanta-based agency of the Department of Health and Human Services. 'The CDC is going to do a whitewash on DU', Marion Fulk, a former nuclear chemical physicist at Lawrence Livermore Lab, said. Fulk told AFP he had received this information directly from CDC officials ... The ATSDR fact sheet: 'The radiation damage from exposure to high levels of natural or depleted uranium are [sic] not known to cause cancer ... No apparent public health hazard', the CDC assessment ..."
As we have regularly stated, the Illuminati loves to create panels to "study" why a particular disaster has occurred. Since the panelists named to the commission are all dedicated to the global plan of the "Illumined Ones", an outcome is guaranteed which will whitewash the whole affair, usually by blaming "Intelligence Failure", personal incompetence, and greed for the disaster. Thus, the current leadership is absolved of any and all responsibility. Few organizations are more tightly controlled by the Federal Government than its own scientific organizations. Since the CDC is totally government funded, and since its leaders serve at the pleasure of Federal officials, no report they publish on D.U. can be believed. Notice their foregone conclusions about D.U. * " radiation damage from exposure to high levels of natural or depleted uranium are [sic] not known to cause cancer..."
* "No apparent public health hazard"
Predicable conclusion -- a total whitewash -- and all lies. The next segment of this American Free Press deals with the scientific and health issues of Depleted Uranium poisoning; rather than reprinting the entire section of this article, we would encourage you to read our original article on D.U. -- NEWS1843. The facts in this article have stood the test of time. If you are not familiar with the medical facts of D.U. please take the time to read this article. Furthermore, the Pentagon has cleverly masked its medical tracks so that the body of each soldier will react differently to the total amount of toxins in his body. Some soldiers will die of heart failure, others will die of internal organ meltdown, others will die of flu-type symptoms, while many others will die of an ailment so mysterious and indefinable that the death will be conveniently labeled as "Mysterious Illness". Listen to the explanation given us by the foreign doctor serving in a Middle Eastern military army. Once you digest this information, you will appreciate how difficult it is for the medical establishment to find a common medical denominator in the many thousands of "Mysterious Illnesses" now developing among our lads in Iraq and Afghanistan. As you can see, the varieties of sickness possible through these five factors is nearly endless! Going back to the advice given in 1991 by Lt. Colonel Michael V. Ziehmn, you will see that this deliberate structuring of these five elements afflicting each soldier fits the Colonel's obfuscation strategy perfectly! How is the Army "treating" soldiers ill with D.U.? "They find a way out". That sentence exactly describes the Colonel's advice to the Pentagon as to how they could preserve the capability of D.U. even though its use is killing our own soldiers. But, the Pentagon's greatest fear is an aroused public. Therefore, we are more than slightly interested in the video ad on the "Kucinich For President" website. If the contents of this video were to ever hit mainstream press, families of our soldiers would become so incensed that they would throw Bush and his entire government would likely be thrown out in a moment. Will the Kerry campaign resurrect this Kucinich ad? If they can find a way to deflect criticism of President Clinton's 1999 D.U. campaign against Yugoslavia, he just might bring the Kucinich ad into his campaign and perhaps in his debates. Nothing would cook Bush's goose faster than the revelation that he has just sentenced 250,000 American soldiers and 25 million Iraqi civilians to death. Just days after Bush ordered the invasion (March 20, 2003), I posted this prophetic examination of the nation of Iraq. I stated that, if this invasion was going to be the final judgment upon Iraq, the prophecy must be fulfilled exactly. Let us examine one of the most difficult of all the elements of this complex prophecy, and the one least likely to be fulfilled; this prophecy is so devastating, it can only be fulfilled once and that at the time of the final End of the Age, when God's judgment against the old pagan land of Babylon (Iraq) was finally completed. "Finally, note that this coalition army will "seize and destroy the whole land." In the Gulf War of 1991, I thought this Scripture was being fulfilled completely, until President George H.W. 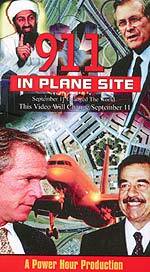 Bush ordered US and Coalition Forces to stand down just as they were crossing the border of Kuwait - Iraq. I realized instantly that we were not going to "seize and destroy the whole land", so the final fulfillment of this prophecy awaited another day. But, today, our stated objective is to literally seize the whole land of Iraq. We will seize and destroy all of Iraq." Can you see that our widespread usage of Depleted Uranium munitions is in the process of "destroying the whole land"? The fulfillment of this End of the Age prophecy is now exactly fulfilled! We are seeing another End of the Age prophecy being fulfilled, in our Daily News!